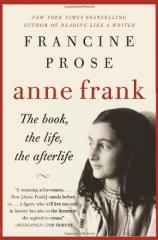 of its writer, teenaged journalist Anne Frank. discovered and the Nazis finally ripped the Frank family apart. moments of beauty in the pages of her book. case that Anne Frank was no ordinary teen and no ordinary diarist. so he devoted himself to editing it into a cohesive whole. beacon for tolerance upon publication. keeping it alive for all times. of art given to the world by a rare, lost genius.